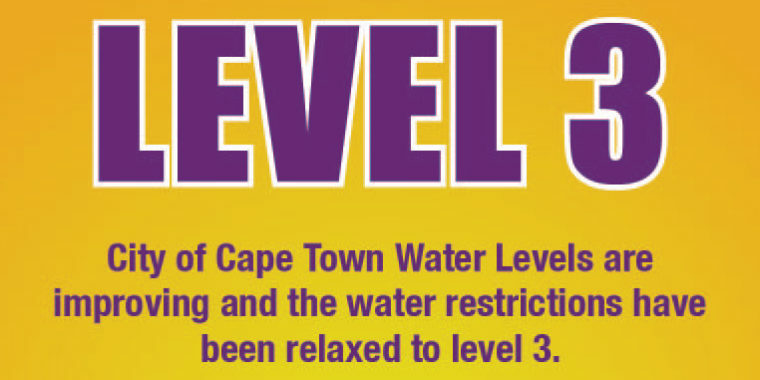 The City of Cape Town water levels are improving and the water restrictions have been relaxed to level 3. Showers: All showers will be open, but we request members to limit their time in the shower. Basins: Our basins will be open and fitted with mist aerators. Soap and Hand Sanitizer will be available. 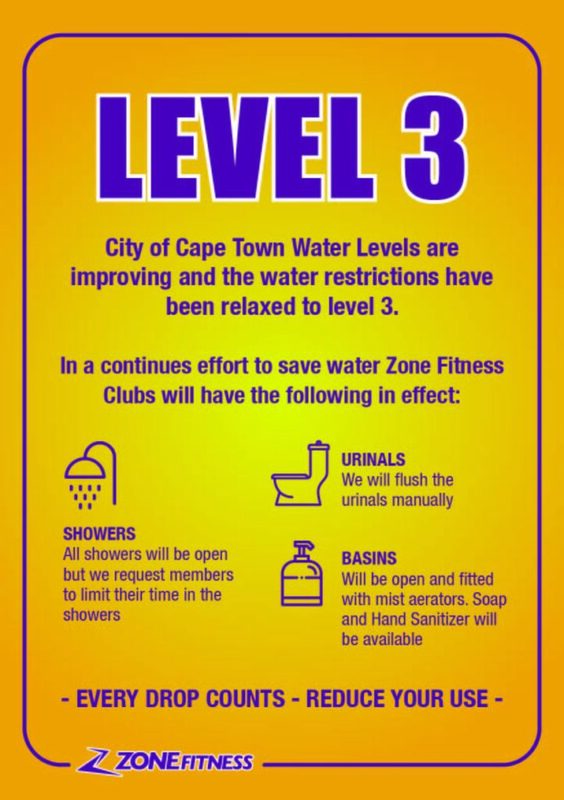 Just to reiterate – These changes are for our Western Cape clubs only. Thank you for your understanding and cooperation during this pressing time.